Running a 5k is becoming a very widespread goal for many Beginner Runners. It's a length of race which with a little steady training nearly all people could train up to running in as little as 6 to 8 weeks. But just how many miles is 5k and how long will it take the typical runner to complete one? How Many Miles Is 5k = 3.1 miles. Most beginner runners will take an average time to finish a 5k race of 30 - 40 minutes. 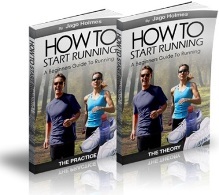 Go here to find out more about THE ultimate beginner runners training guide - GUARANTEED to get you running 3 miles in only 8 weeks from NOW! A respectable time it takes to finish a half marathon is 2 - 2½ hours. The average time it takes runners to finish a marathon is between 4½ - 5 hours. 5k runs have grown to be a very popular way for charities to raise both funds and the awareness of their individual causes. Many people opt for charities to run for which have a particular value to them, for example they might have lost a relative or friend to a certain disease or know someone that is struggling with an illness. 5k races are the shortest distances for beginner runners to take part in, but you still need to be fully ready. The truth is that most people are physically able to run a 5k, but they don't simply because they don't adhere to the right running training advice. If you've often wondered 'how many miles is 5k' and are thinking about getting off the Couch to 5k running, then you should stick to a schedule designed actually for a beginner runner.